Do you lie awake at night, worrying about… well anything and everything? Do you make lists, think of things that you have to do, think about the things you did or didn’t do today, check the clock toss and turn and worry about what time you have to get up the next morning and how tired you are going to be because you just can’t get to sleep? Maybe you are OK getting to sleep, but you can only sleep for a certain amount of time and then you wake up, switch position, grab a snack, but no matter what you do you can’t seem to stay asleep. Here are some tips to help your baby, and you, get a better night sleep. Babies and children are individuals just like adults, and each baby will need a different amount of sleep to stay healthy and happy. 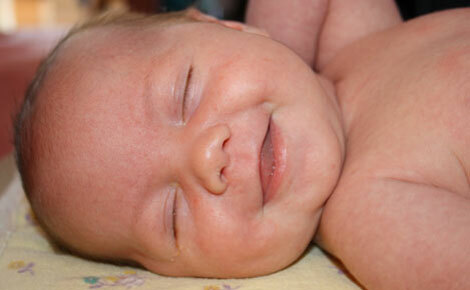 Babies and children often need more sleep during growth spurts and teething. Helping them to be good sleepers early on will help to keep them healthier and supported by the rest they need.